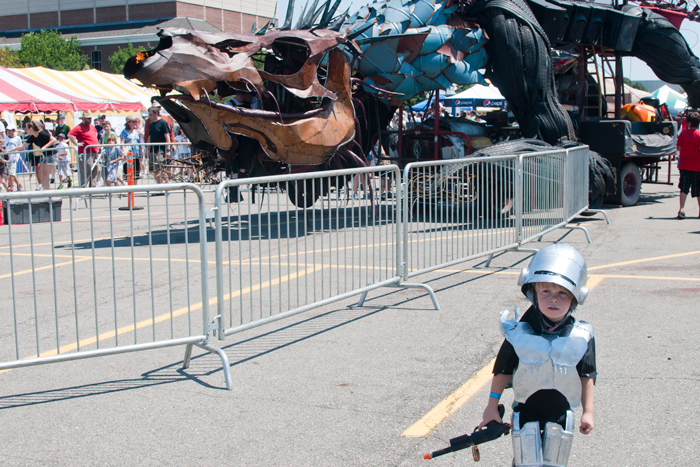 I had the pleasure of escorting Tiny Robocop to the 2011 Maker Faire on the grounds of the Henry Ford Museum yesterday. Bringing Lil' Robo didn't occur to me until 11:00 a.m. and after I asked my son if he wanted to drag out the robocop costume once again (answer: affirmative) I was sent scurrying to find hot glue sticks and costume parts. We were in New York last summer for the inaugural Detroit-version of an event we enjoyed during our San Francisco days and were really sorry to miss it. Dale Dougherty from Make even came to our house when he was scouting the area in 2009. 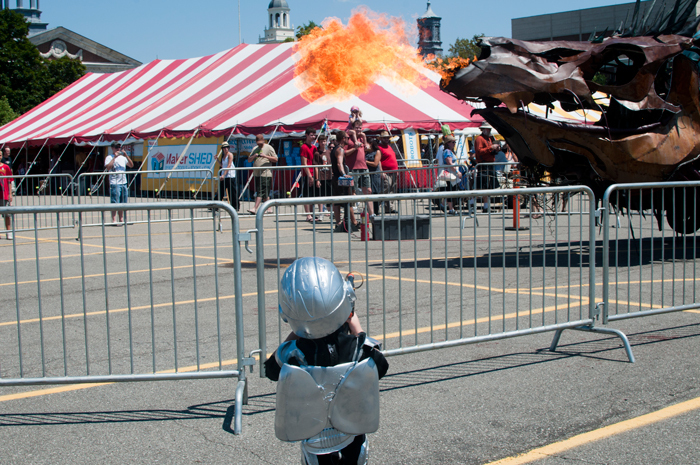 So we were super excited to be in town for the Maker Faire this past weekend, and it did not disappoint. The Detroit version was very family friendly (less Burning Man stuff, more DIY toys), and I can't imagine a better location for a Maker Faire than the Henry Ford Museum. We loved seeing the Greenfield Village threshers and bailers working, as well as the early-automobile tinkerers (and I hope to see more integration between the Maker folks and the museum in coming years). 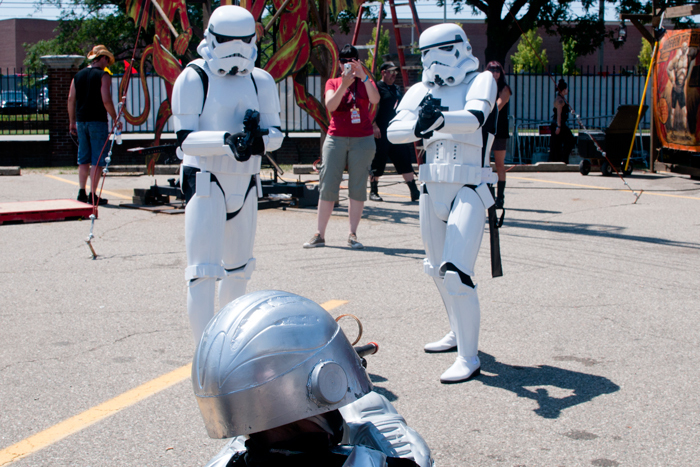 I think there was electricity coming off my son when he spotted those storm troopers. He was like an adorable cyborg tesla coil. Eventually they put up their hands in surrender. Camera phones were held up everywhere. 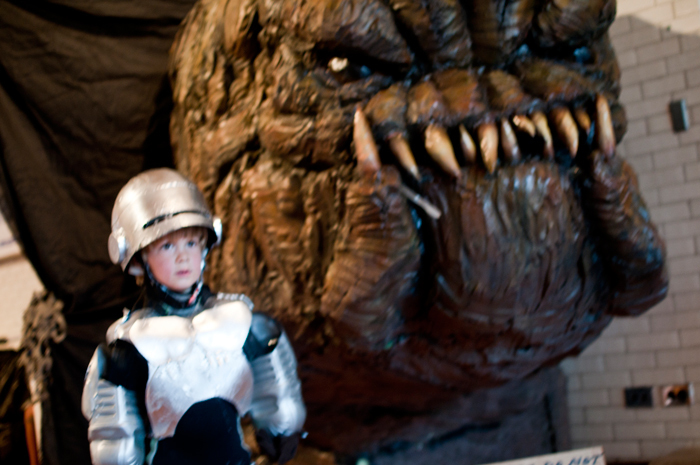 Then Tiny Robocop took on a fire-breathing dragon even more intimidating than ED-209. "Dead or alive, you're coming with me. 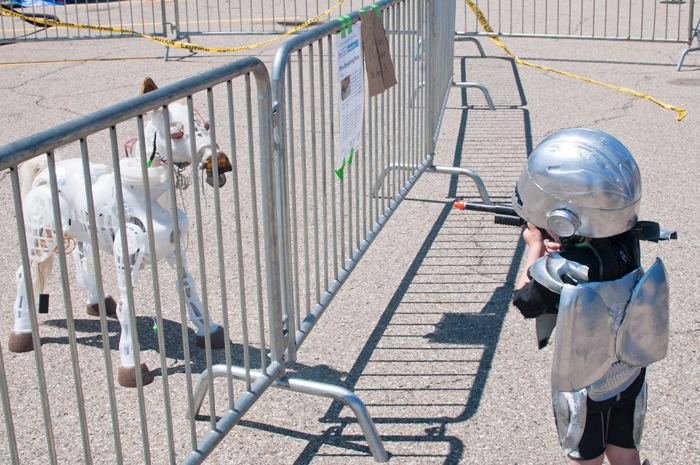 . ."
Tiny Robocop is not impressed by fire-breathing My Little Pony. He did ask the Rankor if he could get a quick picture though. 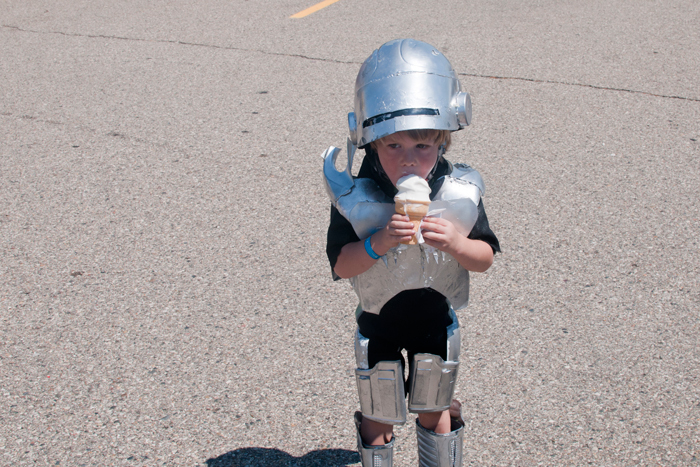 Even crime-stopping cyborgs appreciate cold-extruded dairy products on a hot July day.